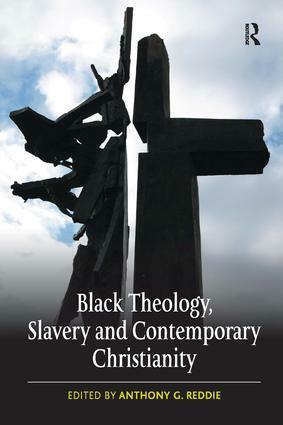 Black Theology, Slavery and Contemporary Christianity explores the legacy of slavery in Black theological terms. Challenging the dominant approaches to the history and legacy of slavery in the British Empire, the contributors show that although the 1807 act abolished the slave trade, it did not end racism, notions of White supremacy, or the demonization of Blackness, Black people and Africa. This interdisciplinary study draws on biblical studies, history, missiology and Black theological reflection, exploring the strengths and limitations of faith as the framework for abolitionist rhetoric and action. This Black theological approach to the phenomenon of the trans-Atlantic slave trade and the institution of slavery draws on contributions from Africa, the Caribbean, North America and Europe. Anthony G. Reddie is a Research Fellow at the Queen’s Foundation for Ecumenical Theological Education in Birmingham. He has a BA in History and a PhD in Education (with Theology), both degrees conferred by the University of Birmingham. He has written over 50 essays and articles on Black theology and Christian education in Britain. He is the author and editor of 12 books. His more recent titles include Dramatizing Theologies (2006), Black Theology in Transatlantic Dialogue (2006), Black Theology in Britain: A Reader (co-edited with Michael N. Jagessar, 2007), Working Against The Grain (2008) and Is God Colour Blind? (2009). He is the co-editor of the 'Cross Cultural Theologies' book series for Equinox and editor of Black Theology: An International Journal.